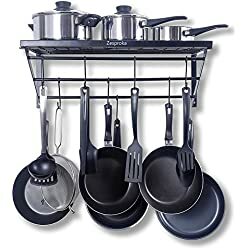 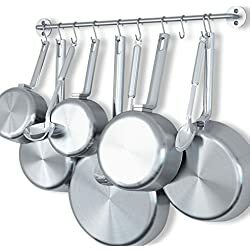 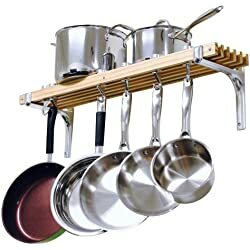 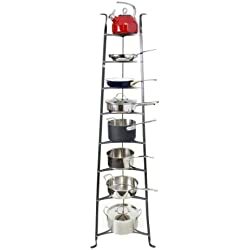 Pot racks free up space in your cupboards and turns your pots and pans into an artful display. 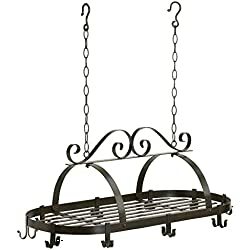 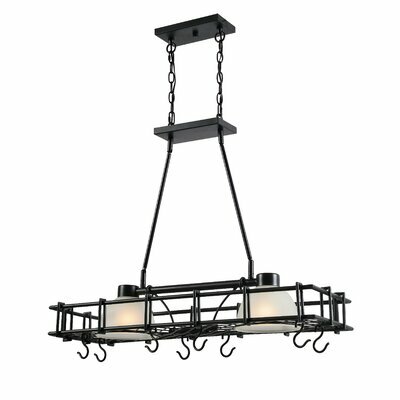 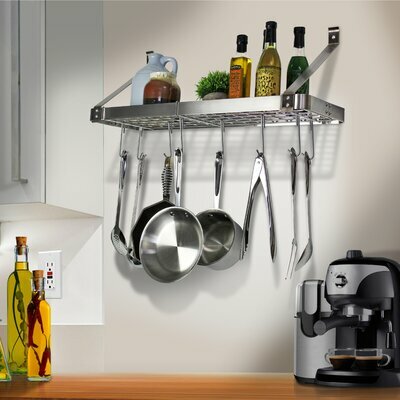 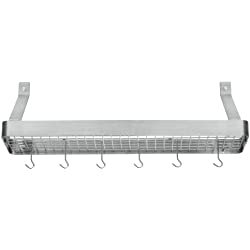 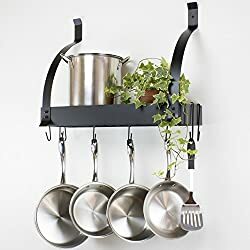 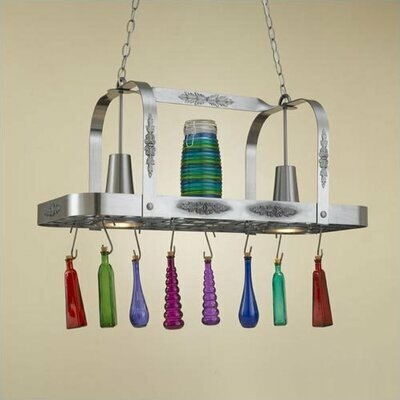 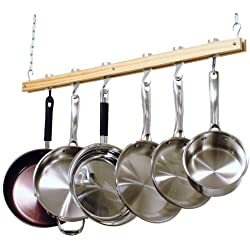 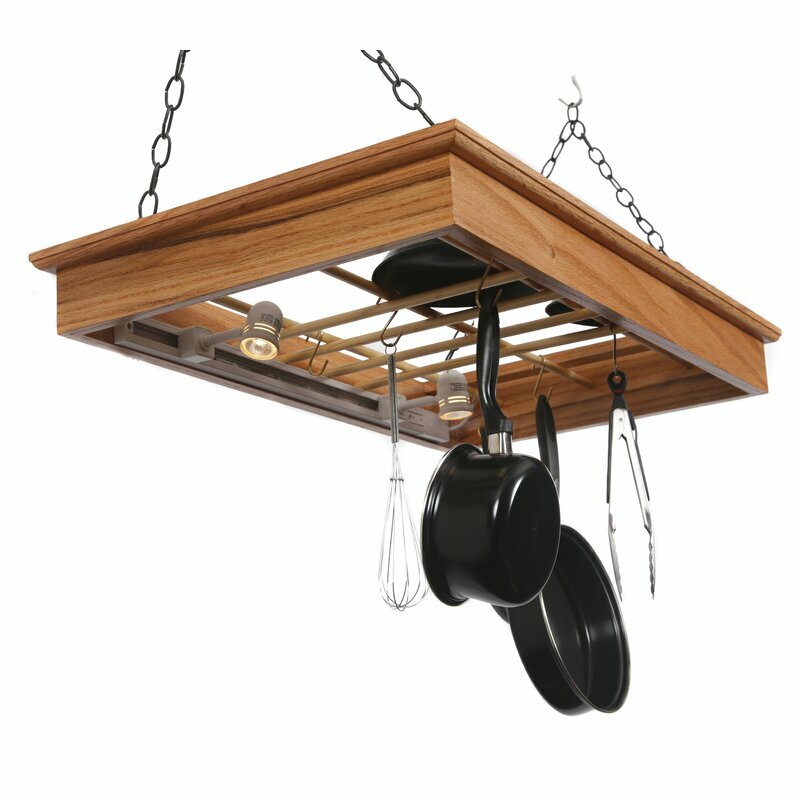 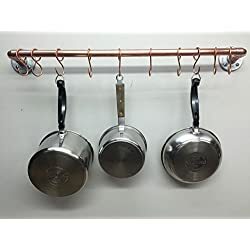 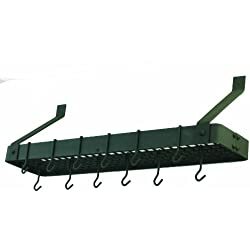 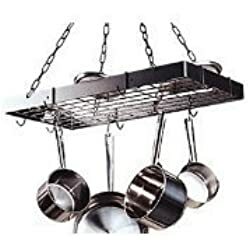 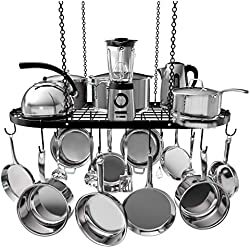 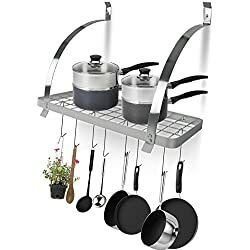 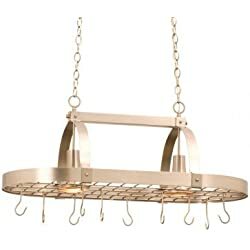 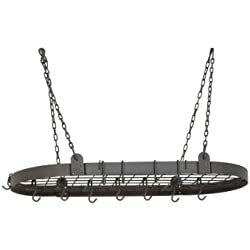 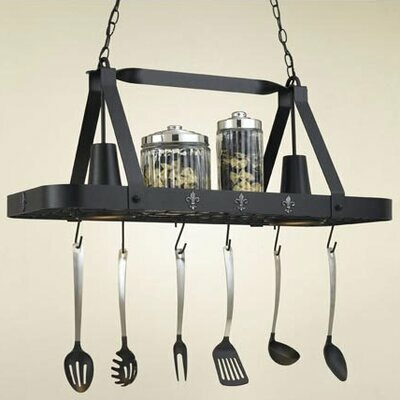 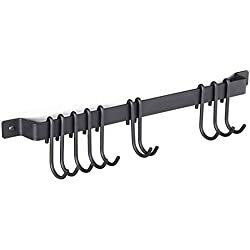 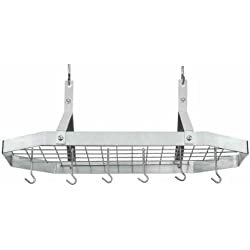 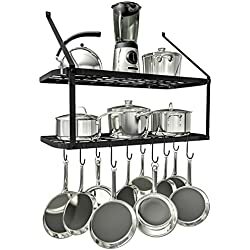 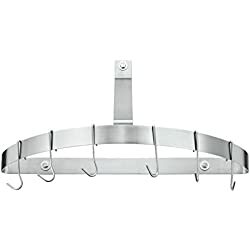 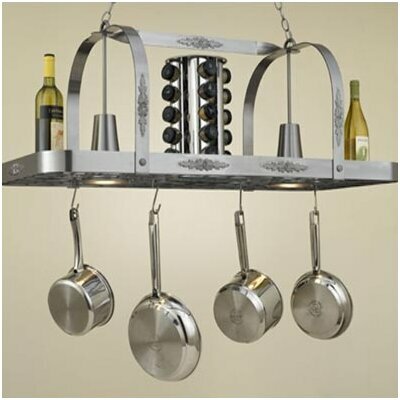 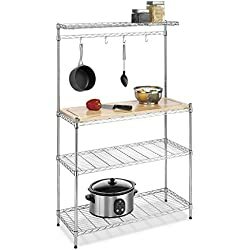 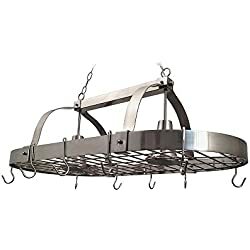 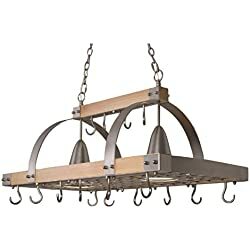 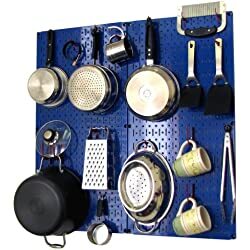 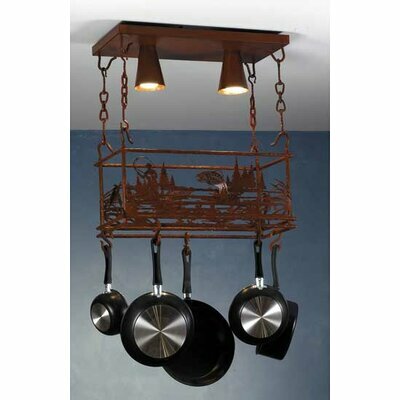 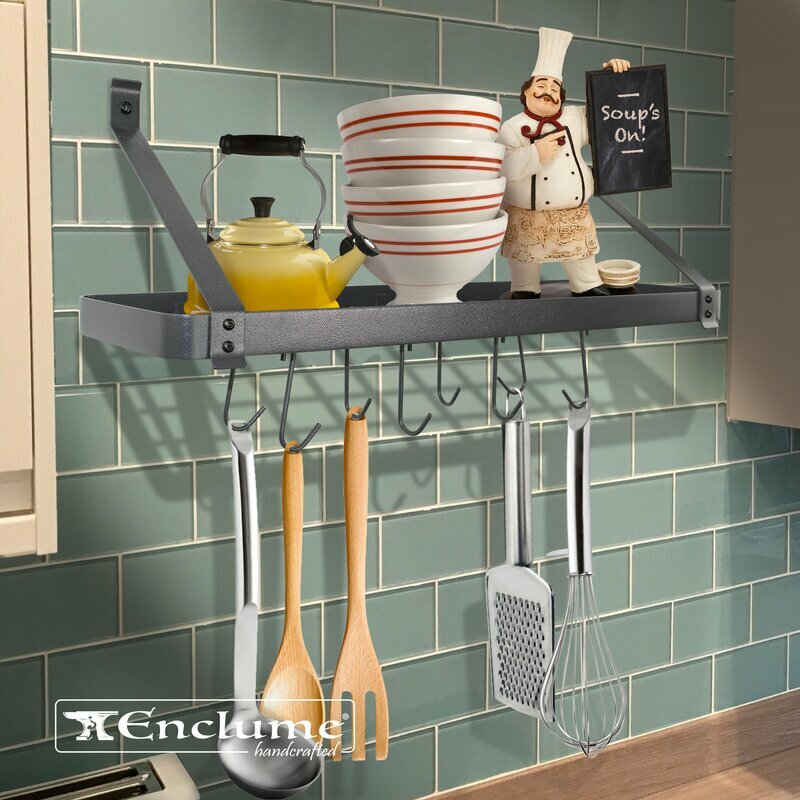 Choose from hanging pot racks, wall pot racks and lighted potracks. 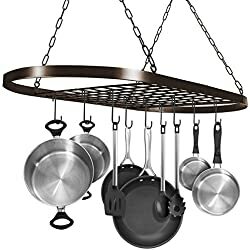 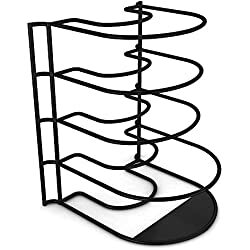 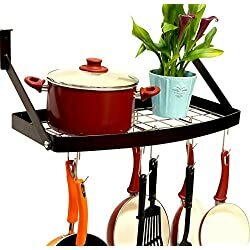 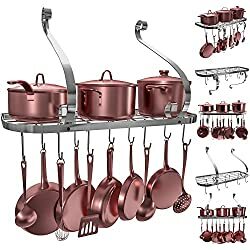 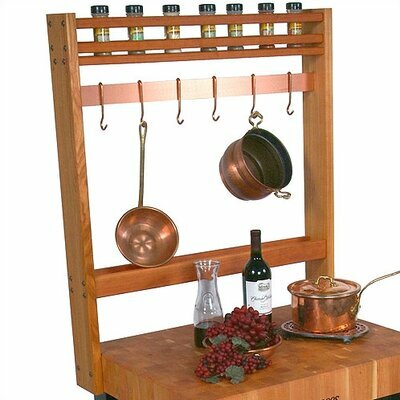 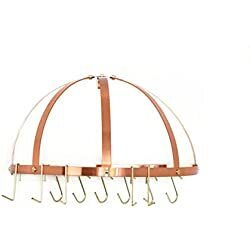 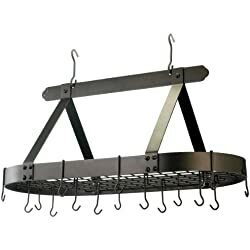 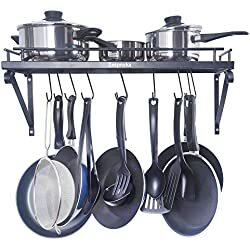 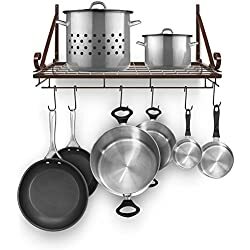 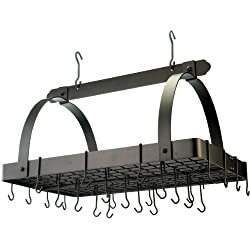 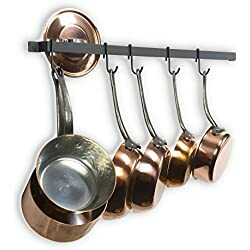 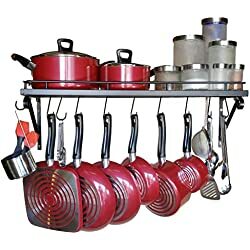 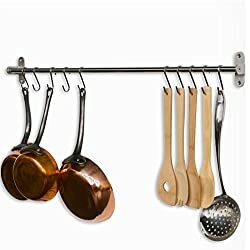 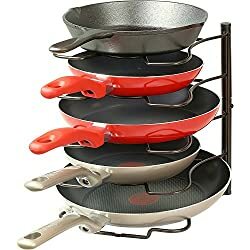 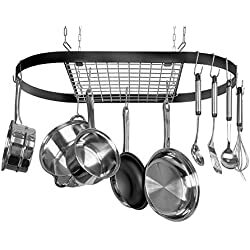 Rouge et Noir Pro Prep Pot Rack Number of Hooks: 5, Pot Rack Width: 30"
Old Dutch Half-Round Pot Rack with Grid & 12 Hooks, Copper, 22" x 11" x 12"